energy efficiency of all products which consume energy. When we exit the EU, this will remain part of UK Law. ErP comes into force for all new air conditioning products from January 2018. Minimum efficiency (measured as’ seasonal efficiency’) to apply to a product or it can not be sold or imported into the EU or UK. 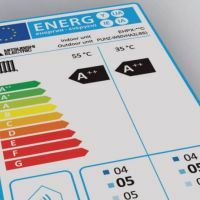 The aim of the ErP legislation is to ensure that all buildings operate with reduced energy use – this both lowers operating costs for the end user and reduces impact on the environment.